We are familiar with our own ceremonies and traditions like the haldi and sangeet, throwing bouquets and even first dances. 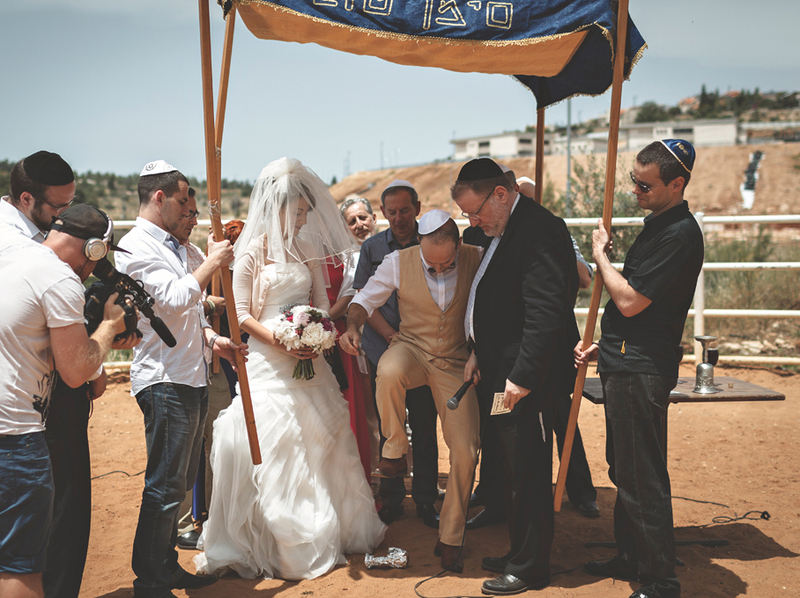 But have you heard about these marriage traditions from around the world? 1) Weddings are usually accompanied by tears, but brides and females of the Tujia people in China take this to an entirely different level. Starting a month prior to the wedding, the bride must cry for one hour everyday. Ten days into the ordeal the bride’s mother joins the crew, and then ten days later the grandmother does the same. By the end of the month every female in the family is crying alongside the bride. What happened to no more tears? 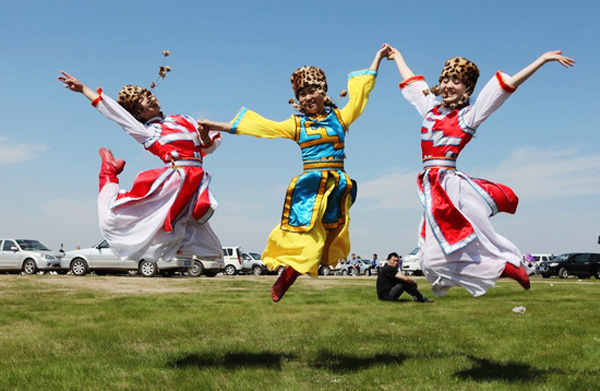 2) The Daur tribe that lives in the Inner part of Mongolia have a strange tradition. In order to fix the wedding date, the bride and groom are required to slaughter a baby chick while holding the knife together. They then proceed to gut the chick and inspect it’s liver. If the liver looks good then they are allowed to set a date. If not, then they have to repeat the process until they find a satisfactory liver. Yes, you’re not the only one who’s cringing. 3) In India, those women who were born Mangliks (a combination in astrology when Mars and Saturn are both under the 7th house) are believed to be cursed and likely to cause their husband an early death. In order to ward of this curse they must be married first…to a tree. The tree is then wrecked and the curse breaks. In a world where we ought to plant more trees, this is occurring. 4) For tribes of the Tidong community in Northern Borneo newly married couples are required to be confined to their house while not emptying their bowels or urinating for three days and nights. How do they even live? 5) Even Jews can’t agree on why they break a glass at Jewish weddings, there’s really no reason behind the tradition. Everyone shouts “Mazal Tov” and everyone claps and hollers. And then they smash glass. 6) In Ireland, when the bride and groom are dancing the bride’s feet have to stay on the floor. The Irish believe that if they don’t, evil fairies will come and take her away. The logic behind this being is that evil fairies like beautiful things. The bride is beautiful. The fairies can only get to her if she is not touching the ground. At least Ireland still believes in magic. 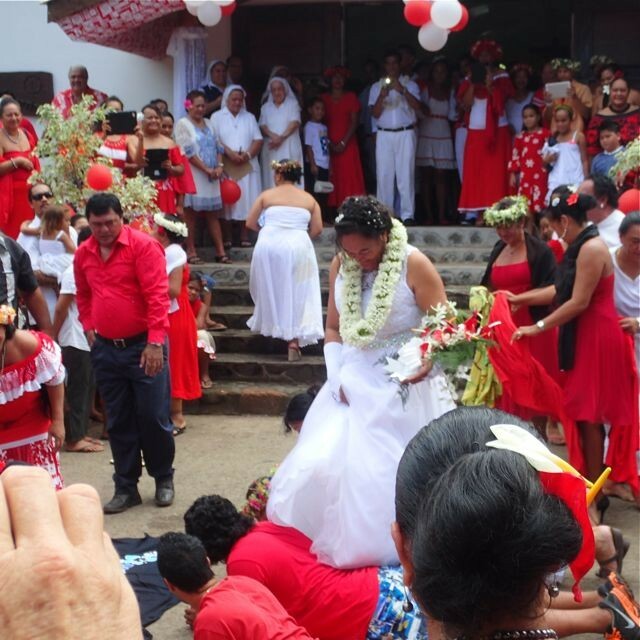 7) On the Marquesas Islands of France, after the wedding reception is over, all the relatives of the bride lay side by side in the dirt, facing the ground. The bride and groom then walk across them like some sort of human rug. And this one wins most disrespectful tradition of the year! 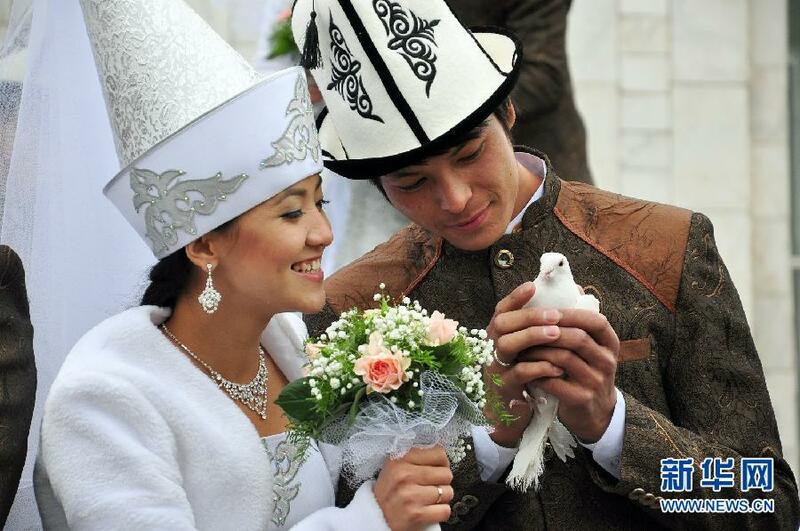 8) In Kyrgyzstan, an old saying claims that tears on a wedding day will make for a happy marriage. Until 1991 (the year when it was finally made illegal) many parents would consent to the marriage of a kidnapped young girl, especially if she was crying. And during a wedding, they release white pigeons. Because why not. 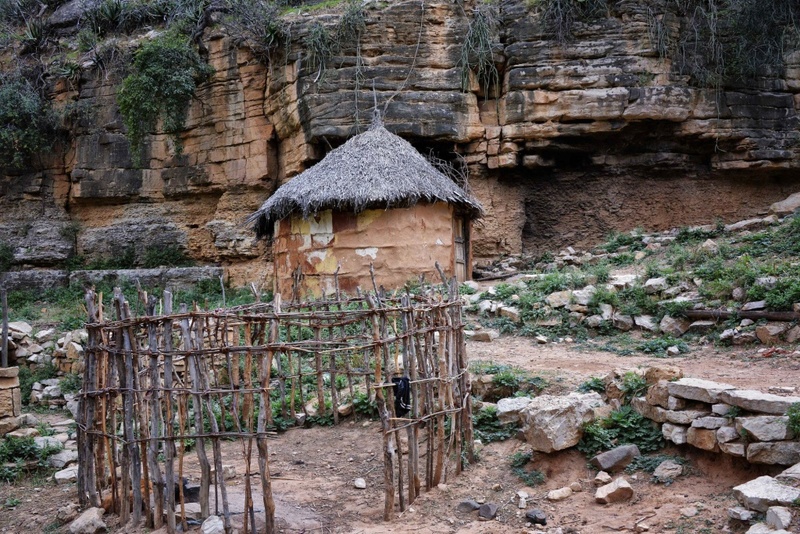 9) Some African tribes allow women to enter a “courting hut” so they can hang out with their spouses far away from the prying eyes of their parents – and the rest of the villagers. We don’t know if this is strange or strange. 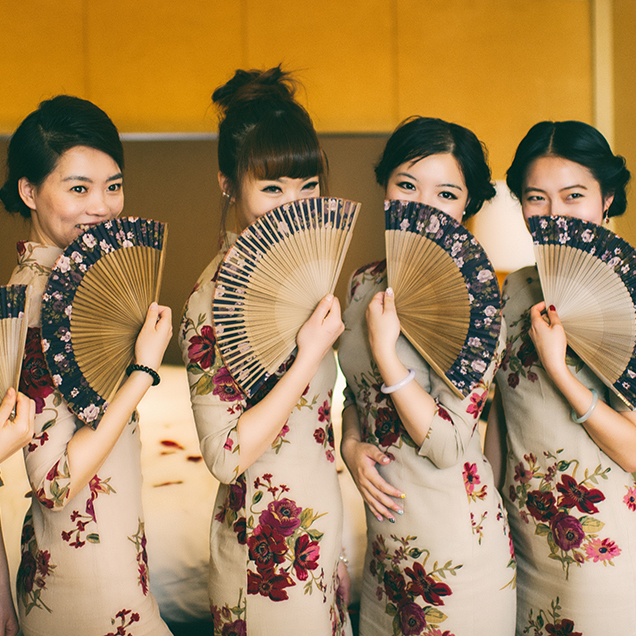 10) In China, when a groom comes to get his bride, he must first break through a wall of her angry bridesmaids. The bridesmaids demand money from him, and put him through a series of silly performances and tasks — all meant to prove just how strong his love really is. Now that’s a cute tradition!